Inspired by Savannah: DISH Debuts New Voice Remote to Customers Nationwide -- And, It's Only $30! 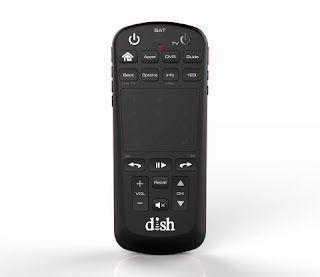 DISH Debuts New Voice Remote to Customers Nationwide -- And, It's Only $30! Disclosure: I was sent a sample to review in exchange for my honest feedback. All thoughts shared are mine and mine alone. "DISH today launched its Voice Remote, featuring voice recognition, a clickable touchpad and backlighting. This remote controls navigation, search and content selection on Hopper 3 and 4K Joey set-top boxes. Roughly half the size of a traditional remote control, Voice Remote fits in the palm of the user’s hand, much like a smartphone. DISH designed the remote to interpret natural language, populating search results based on program title, actor or genre, and building contextual searches to narrow options, as desired. It also utilizes voice commands to control basic functions of the receiver, including recording and changing channels. Voice Remote features two touchpad modes: default displays a blank touchpad allowing navigation tasks, while the numeric mode illuminates a keypad when channel or password entry is preferred. With the ability to serve as a universal remote, Voice Remote can control up to two IR devices (TV/AUX models). New and existing Hopper 3 and 4K Joey customers can purchase Voice Remote for $30 by calling 1-800-333-DISH or visiting www.dish.com. Hopper Voice is a universal remote with learning capabilities. It features voice control, dual function touchpad and a RF4CE remote control finder. The entire remote can be backlit and can last 4-6 months on two AA batteries. It is designed to easily fit in the palm of a user’s hand with dimensions of 5.59”(L) x 2.25”(W) x 1.02"(D).